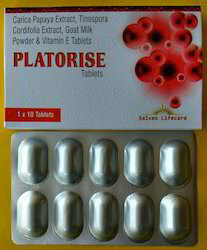 We also offer a wide range of Antioxidants, Lycopene, Vitamins & Multimineral Capsules that is considered to be the best in the market. These products are tested as per the international standards of quality before it is dispatched to the clients. We also have the capability to customize the packed quantities of these products as per the requirements of our clients. 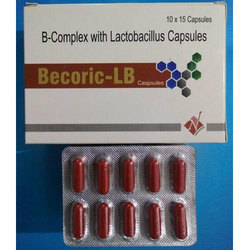 • Composition: Lycopene 5 mg, Lutein 6 mg, B Carotene 10 mg, Vitamins, Chromium, Zinc, Copper Sulphate, Magnesium Biotin Information provided at this web site is of a general nature and is not intended to take the place of a physician's advice. It is vital that persons diagnosed with, or suspected of having, any disease consult with their physician to assure proper evaluation, treatment and interpretation of information contained on this site. L-Carnitine Reduces Muscle Cramps in Patients Taking Vismodegib Reference from -The National Society for Cutaneous Medicine , March 2018 Volume 2 Issue 2 Levocarnitine (L-carnitine) is a trimethylated amino acid known to play a critical role in lipid metabolism. It has antioxidant properties, and several studies have illustrated its effectiveness in lessening the severity of muscle cramps in various disease processes. Nephrourol Mon. 2013 Sep; 5(4): 862–865. As the combination use of vitamin E and L-carnitine could more effectively reduce the intradialytic complications, it is recommended for daily use in hemodialysis patients. 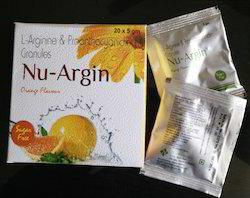 L-Arginine 3 g, Proanthocyanidins 75 mg in 5 g use in During early pregnancy, Nu-Argin sachets are given to increase the placental circulation, for better growth of baby and to reduce the chances of an early miscarriage. 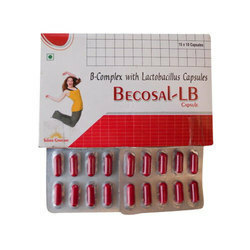 These are safely prescribed in pregnancy and may be continued till full term to avoid growth retardation and preterm labor. 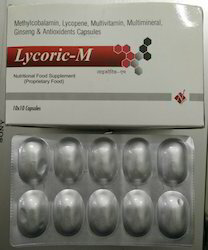 Mechanism Of Action: • L-arginine is converted in the body into a chemical called nitric oxide. Nitric oxide causes blood vessels to open wider for improved blood flow. L-arginine also stimulates the release of growth hormone, insulin, and other substances in the body. 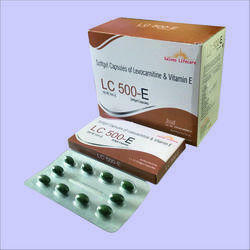 We are also instrumental in the supplying of a wide range of Multivitamins, Antioxidants Capsules. 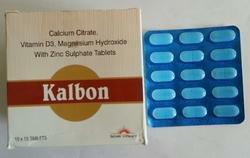 We also test these products as per the international standards of quality to ensure high purity. These products are packed in customized quantities as per the requirements and needs of the clients. 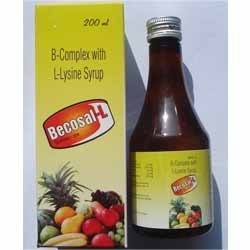 We are also engaged in the making of B - Complex with Lysine Syrup, which is a very item among our clients. Tested for quality, these products are at par with the international standards.These products are packed in customized quantities as per the needs and specifications of our clients. Having 35% greater selenium conc. 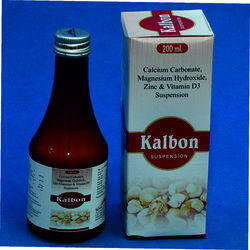 than cow milk which is effective for removal of oxidative stress and improves immune response. 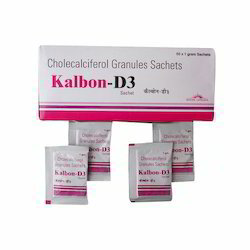 We are known in the industry as the trader, supplier and distributor of wide range of Cholecalciferol Granules Sachets. Testing these products as per the international standards of quality, we ensure better performance with efficient functioning. We also customize the packed quantities of these products as per the requirements and guidelines of our esteemed clients. Composition Each Sachet Contains Cholecalciferol Granules 60000 I.U. 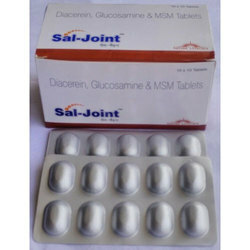 clients can avail from us a superior grade range of diacerein, glucosamine & msm tablets. offered products are fabricated in strict compliance with international quality standards by using supreme quality raw material obtained from authentic sources of the market. we make sure to test the quality of the entire range in order to deliver flawless products to our clients. 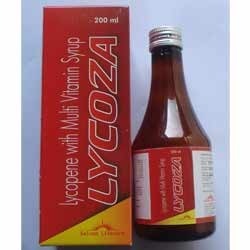 Lycopene with multi vitamins and minerals Syrup in attractive packing. 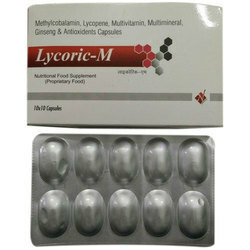 We also offer a wide range of products, which also includes a large array of Lycopene Multivitamin Syrup. We have a huge team of qualified professionals who test these products as per the industrial standards of quality. We also have these products packed in varied quantities as per the requirements and specifications of the client. 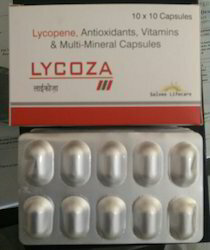 Lycopene 6% ..10000mcg, Ashwagandha 40 mg,Mecobalamin 1500 mcg, Ginseng Extract 42.5 mg, Vitamin A 5000 I.U. 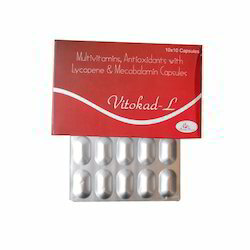 , Vitamin B1 2.5 mg, Vitamin B2 2.5 mg, Vitamin B6 1.5 mg, Calucium Pantothenate 7.5 mg, Foilic Acid 1 mg, Copper Sulphate 2.5 mg, Zinc Ssulphate 15 mg ,Maganese Sulphate 1.4 mg Selenium Dioxide 60 mcg , Chromium Picolinate 65 mcg, Vitamin E 25 I.U. Your health visitor can give you advice on vitamin drops and tell you where to get them. You’re entitled to free vitamin drops if you qualify for Healthy Start. Some supplements that can be bought over-the-counter in pharmacies contain other vitamins or ingredients. Talk to your pharmacist about which supplement would be most suitable for your child. Keep to the recommended dose stated on the label, and be careful not to give your child two supplements at the same time. For example, don’t give them cod liver oil and vitamin drops, as cod liver oil also contains vitamins A and D. One supplement on its own is strong enough. Vitamin D only occurs naturally in a few foods, such as oily fish and eggs. It is also added to some foods such as fat spreads and breakfast cereals. The best source of vitamin D is summer sunlight on their skin. However, it’s sensible to keep your child’s skin safe in the sun. Children shouldn’t be out too long in the sun in hot weather. Remember to cover up or protect their skin before it turns red or burns. It's important that children still receive vitamin drops, even if they get out in the sun. All babies and young children aged six months to five years should take a daily supplement containing vitamin D in the form of vitamin drops, to help them to meet the requirement set for this age group of 7-8.5 micrograms of vitamin D per day. However, babies who are fed infant formula will not need vitamin drops until they are receiving less than 500ml (about a pint) of infant formula a day, as these products are fortified with vitamin D. If you are breastfeeding your baby and you didn’t take vitamin D supplements throughout pregnancy, your health visitor may advise you to give your baby vitamin drops containing vitamin D from the age of one month. Vitamin A is important for babies and young children, and they may not be getting enough. It strengthens their immune system, can help their vision in dim light, and maintains healthy skin. 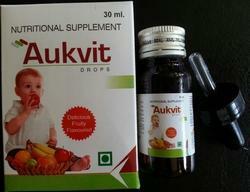 Looking for Antioxidants & Multivitamins Medicines ?